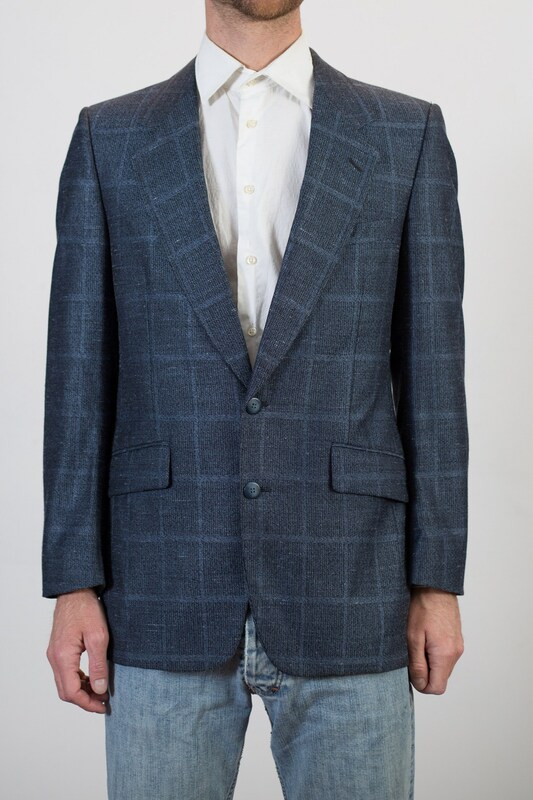 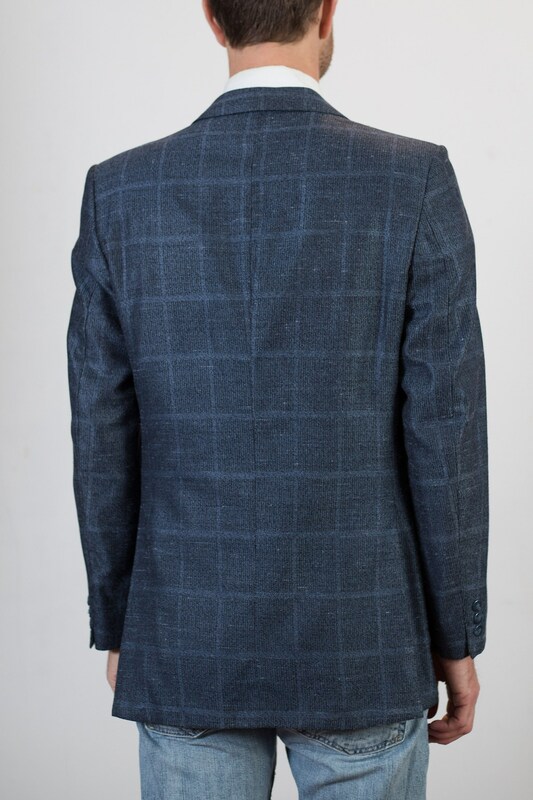 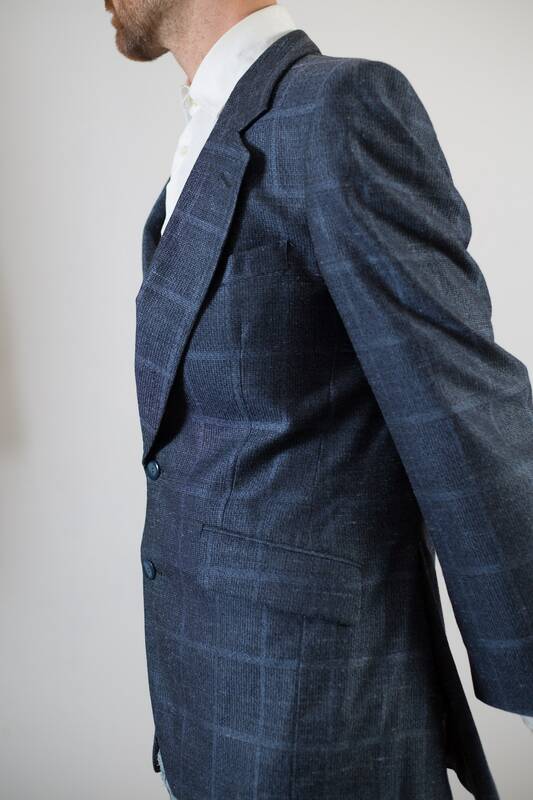 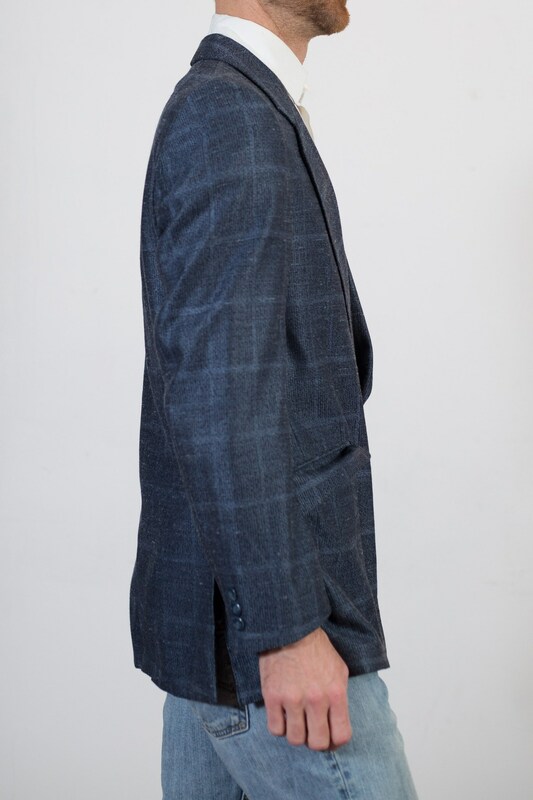 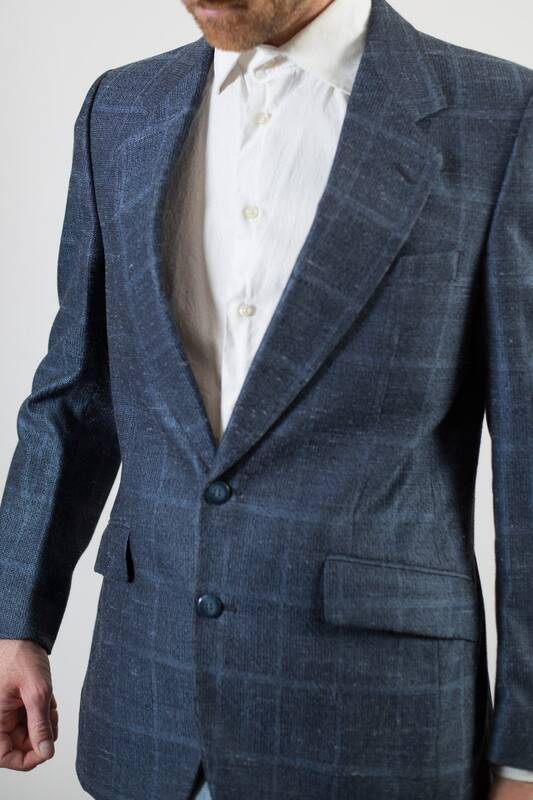 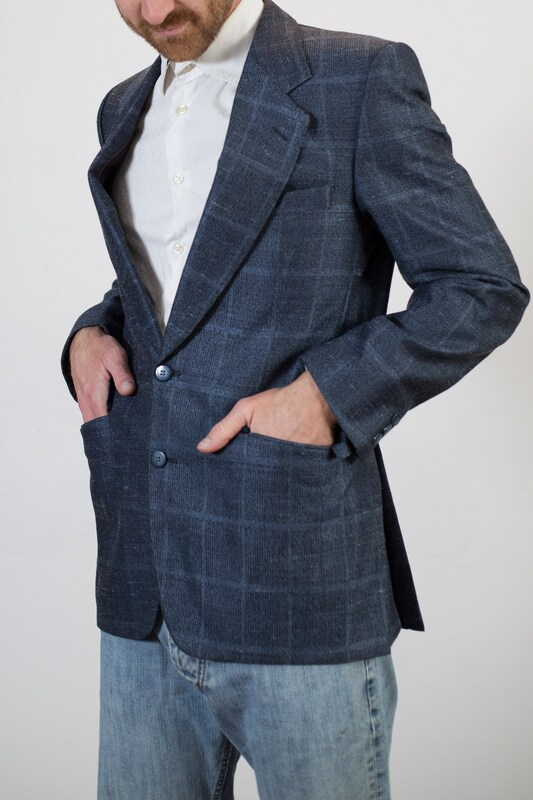 This is a fantastic vintage blue sports coat blazer with a check pattern and functional waist pockets, chest pocket and inside lining pockets. 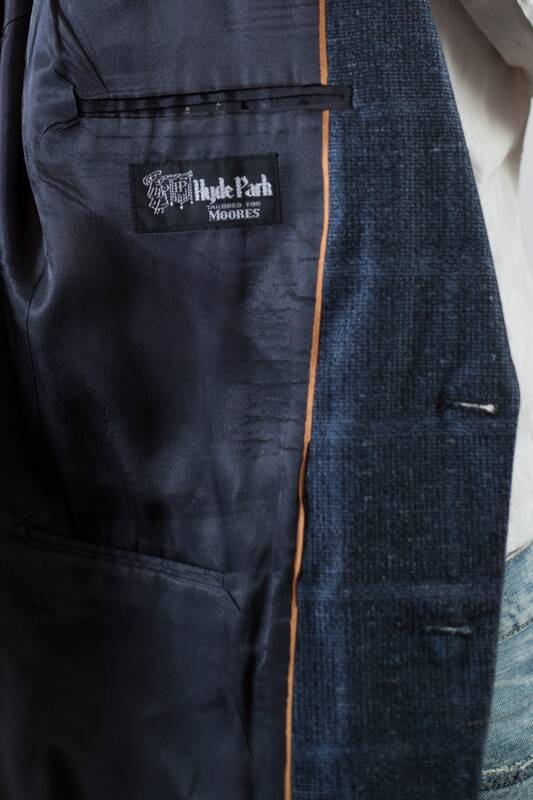 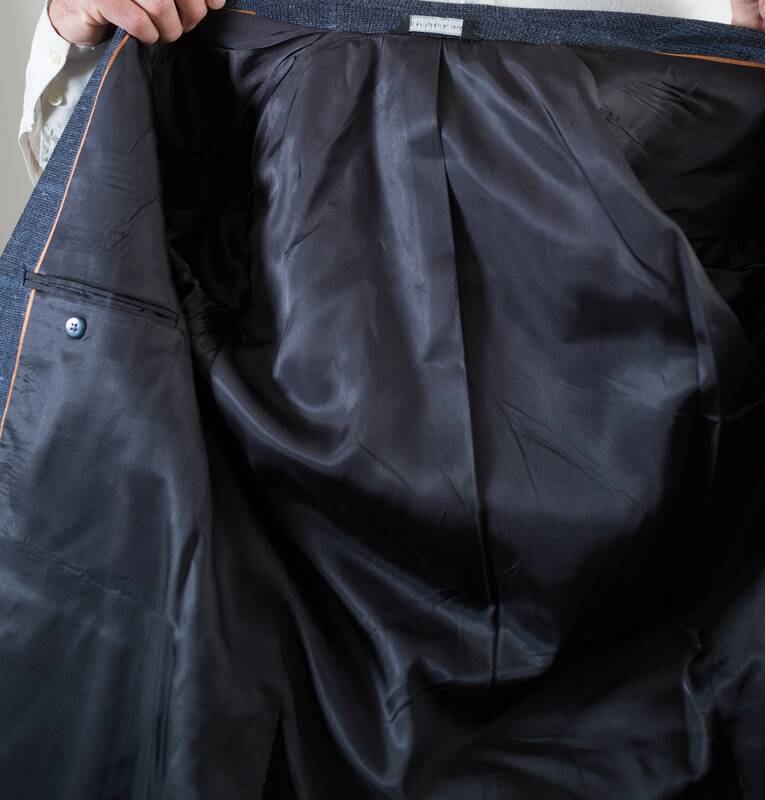 Brand: Hyde Park Tailored for Moores. 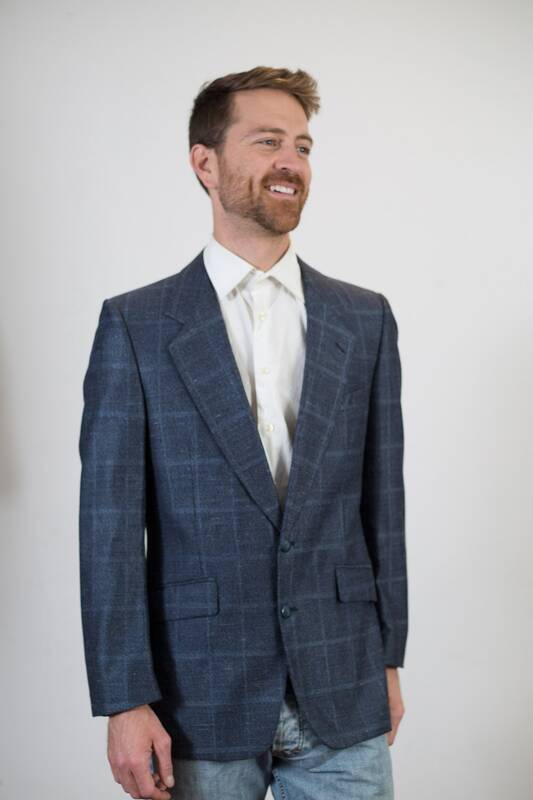 Size: tag reads 38R (model wears medium, is 5'11). 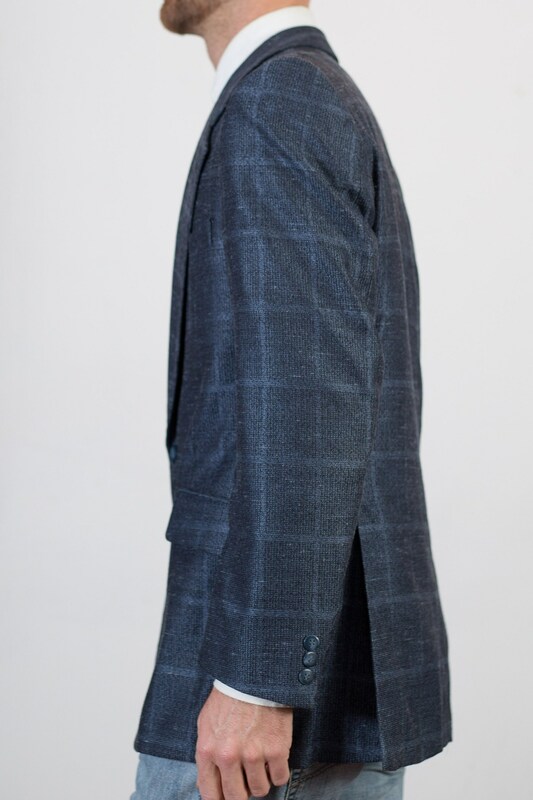 Material: Wool shell, acetate interior.